Has 1,592 days really gone by since John Chen took over as CEO of BlackBerry from Thorsten Heins? Chen, as he promised, continued to push out new handsets until it was obvious that this was not a financially viable survival plan. So the executive made a brilliant move and licensed the BlackBerry name and its version of Android to other companies including TCL. This allowed the company to eliminate its hardware manufacturing business in order to focus on "cybersecurity and embedded software." 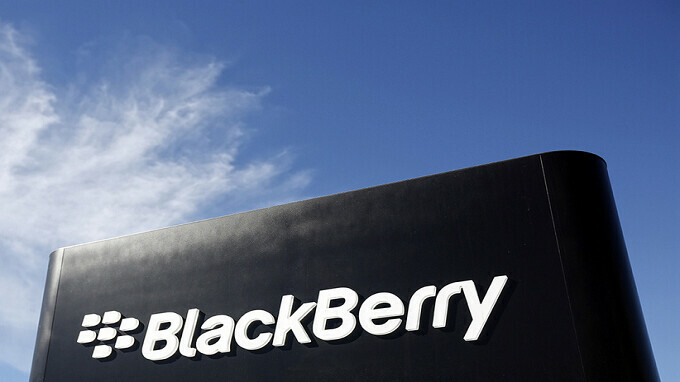 To reward Chen's turnaround of the company, BlackBerry today extended Chen's contract by another five years. The CEO will continue to lead the company through November 2023. Chen's base salary will remain the same as will his short-term cash incentive. The latter consists of 5 million restricted share units (RSUs) that vest in equal tranches annually once BlackBerry's shares trade in the $16 to $20 range (using a 10-day moving average). Today, BlackBerry (BB-NYSE) closed at $13.25. Should the shares reach $30 (again, based on a 10-day moving average), all of Chen's performance based cash awards will vest immediately. BlackBerry is expected to release its earnings report for the fiscal fourth quarter of 2018 on March 28th. For the third quarter, BlackBerry topped Wall Street estimates by reporting earnings of 3 cents a share. Analysts were expecting the company to breakeven for the three month period. Though revenue at $226 million was down 25% year-over-year, it surpassed estimates calling for the firm to report gross of $215.4 million. John Chen did a remarkable job hands down. It takes a truly unique level of talent to properly manage the leveling out of a company in serious decline, and that is what Chen managed to do. Contrast this with the Nokia train-wreck presided over by Elop... which ended with the Nokia brand selling out to Microsoft, and then disappearing, only to reappear a few years later under new management (HMD Global) because there was still popularity left in the brand name that had gone unharnessed. Where Elop decided to cut bait and sell out his new employer to his former employer for personal gain, Chen took the risk of holding on to whatever he could save of his new employer, and managed the transition from being a hardware manufacturer to being a software and services provider instead... and they saw the decline level out. Chen may yet bring in the 'fish', whereas Elop folded early, and did what benefitted him, and not Nokia, when the 'catch' was proving to be tough. Why would Apple buy HTC to enter the Android Market? 1. Apple is doing quite well as is. 2. Apple already has a good hardware design division. 3. Google would be happy to supply the OS free of charge should they decide to make a handset to run Android. Again I'm asking because I just don't see that acquisition making sense. Gotta agree with everything you just said. I think there’s a zero chance with a smattering “never going to happen” on top concerning Apple ever creating an Android smartphone. Buying HTC is a possibility, but they’d just do it for the patents and possibly some designs, and put the rest on the backburner for good. Apple is doing great with iOS and the other stuff that they have going on. So great, in fact, that I now use an iPhone 8 Plus as my primary smartphone, lol. It may not make much sense at first, but it really is the "final frontier" for Apple if they want to compete in places like India, China, and the developing world. I imagine they could make a lot of money selling cheap (but streamlined, with premium feel) Android Go devices, and even "mop the floor" with competitors like Sony, LG, TCL, and HMD Global, among others. Only Samsung and Google, and maybe some of the Chinese OEM's, would be relatively safe from them. The HTC patents are certainly valuable on their own, too, but if Apple wants to sell smartphones to the poor masses in the Third World, or maybe even the relatively poor among the Western World populations, and compete in a straight-comparison mode with Google directly, this is how they could do it. If Apple could show that they could do better than Google and Samsung at the Android game, everyone would undeniably have to acknowledge their acumen at pulling off an upset, for sure. It would truly leave no doubt of their supremacy, whatsoever. I'm not the only one who thinks this could be interesting and useful. Even a handful of Apple fans that I've met think its a great idea. Yes, somewhat so. I don't think the KeyONE was a big seller considering they only shipped 850K units. It's the software that is keeping them up. BlackBerry do not rely on KEYone sales becaue they do not make smartphone anymore, so KEYone sales are not relevant here, only the software. BlackBerry get paid up front sum for software before phone even ship from what I read. I will see if I can find article. Even if what you say is true, it is not relevant enough to affect BlackBerry bottom line in meaningful way. You could be right, but 850,000 at $15 each is still 12.75 million dollars. Again - rumor. Very true. You could be correct. I will search for article. I do not care to provide information for you. Can't find something if it doesn't exist. That is what we say when you post your fabrication and pretend it is fact. There is a royalty agreement, but it is at an undisclosed amount. I'm sure some financial genius could deduce the amount of money by looking at the financial records of both companies, but there is no formal statement on what the amount is. However, I should also point out that the Keyone was not really sold at any carriers. Even their exclusive offering at AT&T was for online only. You couldn't find a Blackberry Keyone in any AT&T stores. That's a problem for consumers that may want to actually see a product before they buy it. Add to that the fact that they later released the Black Edition which should've been offered from the start with 64GB of storage and 4GB of RAM. I feel if the next iteration of the Keyone were to be offered by all four major carriers then they could easily get to 5 million device sales a year. You do have some good points, even if limiting your scope to just America. The KEYone was sold at all major carriers here in Canada yet was still the niche product that sold only to those who could appreciate what it was about. You make a very good points, Dr. Phil. No exact amount can be found for payments, and I only read speculation as to if it is per handset or up front payment. I agree with you that if KEYone successor is offered on all four Carrier in U.S. that it will sell much better. I agree wholeheartedly although I have seen the KeyONE at a carrier store before. I definitely agree that the black edition should have been released from the start. If they stamp their bloody name on it, then you are wrong. Again. You can't use that as an excuse to not acknowledge the poor sales of the KeyONE. No I am not wrong. 70 percent of BlackBerry sales come from software, not hardware. They do not make smartphone hardware anymore. This is all documented fact. You cannot use your hate for BlackBerry to justify your ignorance about them. The important thing is that the company has survived, had a successful turnaround, and it making a profit now. BB10 was dead on arrival even before Chen came in. Blackberry didn't take the iphone seriously and that caused them big time. Why else do you think they brought Chen in? He knows that blackberry is no longer able to make it in the hardware market, hence why they are so focused on their software offerings. BB10 not DOA before Chen. Chen took all competitors seriously. BlackBerry strengths have always been in software and security. Making phone was a side job for BlackBerry that was lucrative for many years. Chen return then to their roots of software after hardware stopped selling good. Well...he did avoid a disaster for Blackberry, but didn't he cause the disaster in the first place, by delaying Android adoption ? Blackberry should seen the Android rise and should have switched to Android years ago.